Courtney Ergen, a junior at Wake Forest University and GO: Again student, describes how Go Global creates a unique culture across all locations whether it’s your first trip with us or a repeat experience! 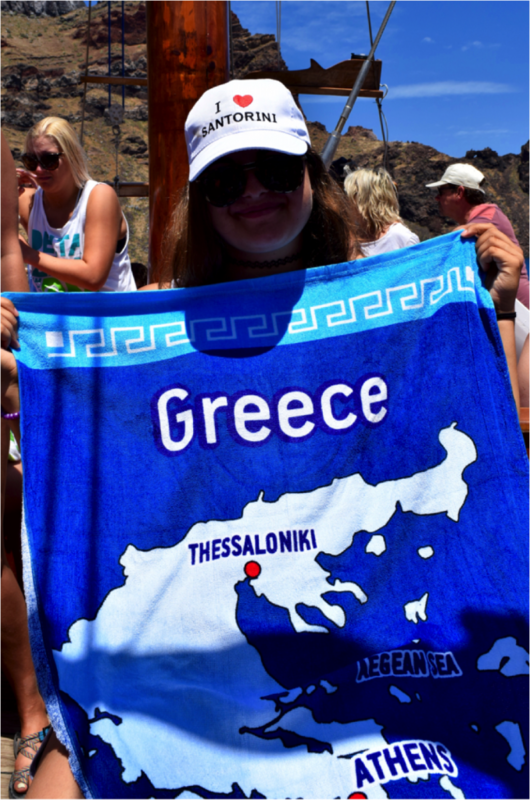 As I sit on the plane leaving Greece after graduating from my second Go Global trip, I cannot help but think about how much these trips have shaped me. At first, I was worried that with only two weeks I wouldn’t be able to make the same deep connections I did in Cape Town last summer, but I was happily surprised to see just how close we got in a short amount of time. The culture of Go Global trips encourages vulnerability and being open with each other, which really allows us to dive into relationships and connect with everyone. I am also thankful there were only twenty of us on the trip because we were able to be with the whole group most of the time, and it was a drama-free trip because we all loved hanging out together. It was such a special experience to be with a very connected group of twenty girls who genuinely loved being together and experiencing new things with each other. We encouraged each other to step out of our comfort zones and grow together, whether is was a small think like eating seafood despite having a strong distaste for it, or a big thing like facing our greatest fears and jumping off of a bridge. Our group was so cohesive, which made the trip that much better. Our fearless leaders, Pierce and Kelsey, invested so much into their relationships with us to develop us personally, which created an even more meaningful experience for all of us. Going through the curriculum one year later, I heard the same lessons, but with fresh eyes, and I learned different things about myself and gained new insights from the teachings. Even after a whole year these are still some of the most important lessons I have learned, and it was great to get a reminder of the things I hold close to my heart and my vision for my life. All I can say is I am so thankful for everything Go Global has given me, and I know I am leaving Greece with twenty new friends that I will forever cherish. Opah!